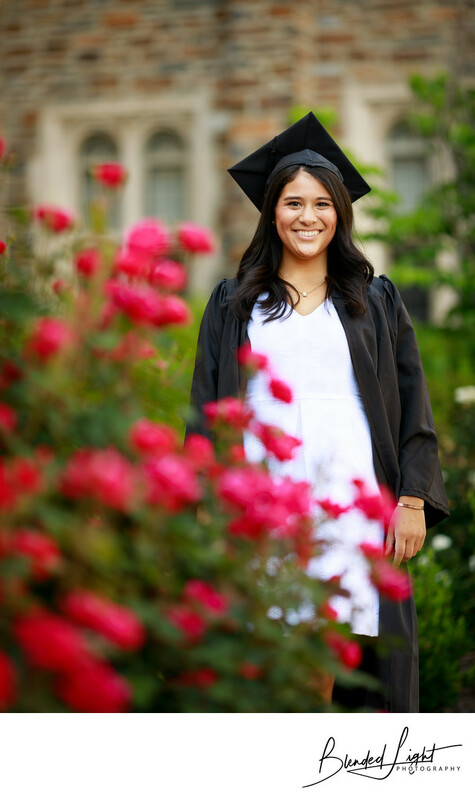 This location was one Laura loved during her time at Duke, so we created this senior image, placing the red roses with her in her cap and gown in the background. Location: Duke University, Durham, NC. 1/200; f/2.2; ISO 100; 135.0 mm.